Small volumes of anti-Pan-AKTantibody vial(s) may occasionally become entrapped in the seal of the product vial during shipment and storage. If necessary, briefly centrifuge the vial on a tabletop centrifuge to dislodge any liquid in the container`s cap. Certain products may require to ship with dry ice and additional dry ice fee may apply. 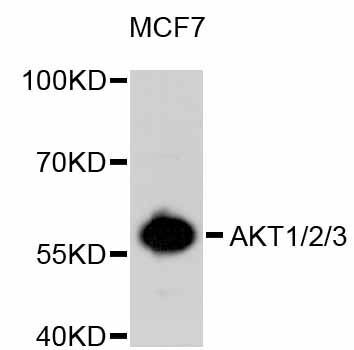 Western blot analysis of extracts of MCF-7 cells, using Pan-AKT antibody. 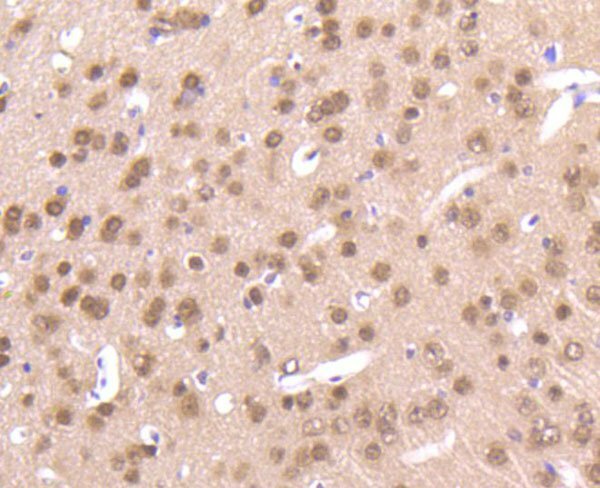 Immunohistochemistry of paraffin-embedded mouse brain using Pan-AKT antibody at dilution of 1:100 (40x lens). 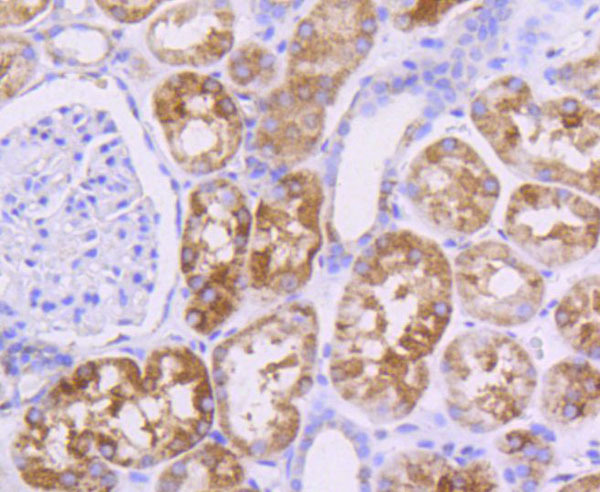 Immunohistochemistry of paraffin-embedded human kidney using Pan-AKT antibody at dilution of 1:100 (40x lens). 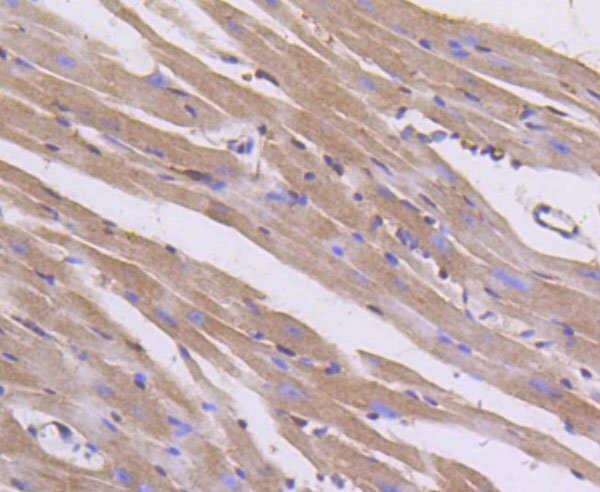 Immunohistochemistry of paraffin-embedded mouse heart using Pan-AKT antibody at dilution of 1:100 (40x lens). Immunohistochemistry of paraffin-embedded mouse kidney using Pan-AKT antibody at dilution of 1:100 (40x lens). 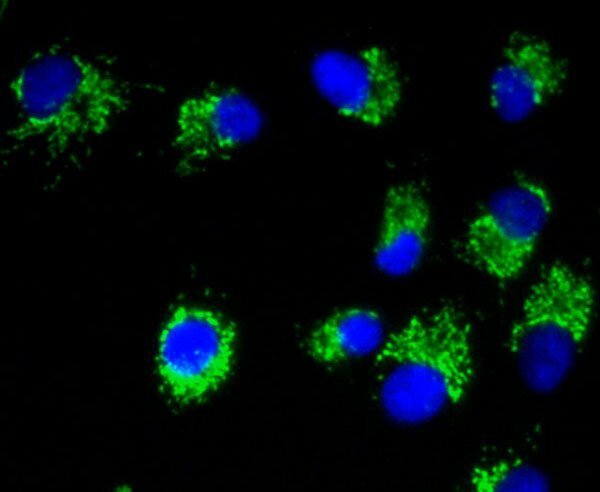 Immunofluorescence analysis of A549 cells using Pan-AKT antibody. 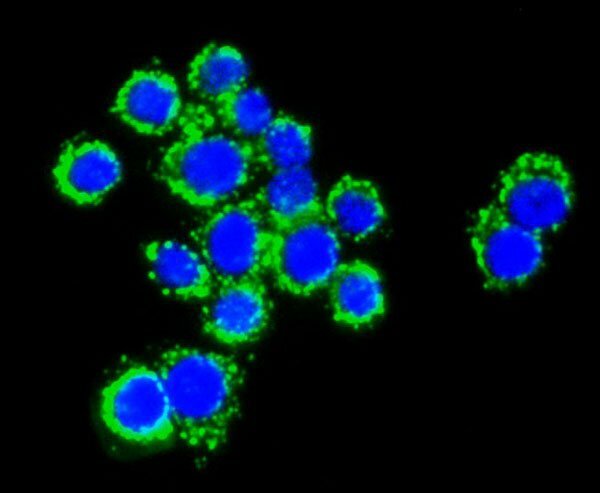 Immunofluorescence analysis of CRC cells using Pan-AKT antibody. 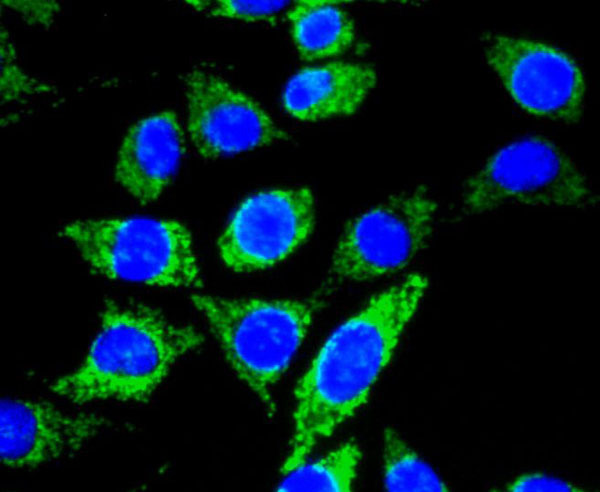 Immunofluorescence analysis of SH-SY-5Y cells using Pan-AKT antibody. NCBI/Uniprot data below describe general gene information for Pan-AKT. It may not necessarily be applicable to this product. Akt1: an oncogenic AGC kinase that plays a critical role in regulating cell survival and metabolism in many different signaling pathways. Dual phosphorylation is required for its activation. T308 is phosphorylated by PDK1 in the PI3 kinase pathway, and S473 is phosphorylated by mTOR in the mTORC2 pathway. The 'Lys-63'-linked ubiquitination of AKT1 by TRAF6 is important for its translocation to the plasma membrane, phosphorylation, and activation. When Akt is fully phosphorylated it translocates into the nucleus, undergoes 'Lys-48'-polyubiquitination catalyzed by TTC3, leading to its proteosomal degradation. Hyperactive or overexpressed in a number of cancers including breast, prostate, lung, pancreatic, liver, ovarian and colorectal. Over 160 protein substrates are known including many that regulate transcription, metabolism, apoptosis, cell cycle, and growth. 1. 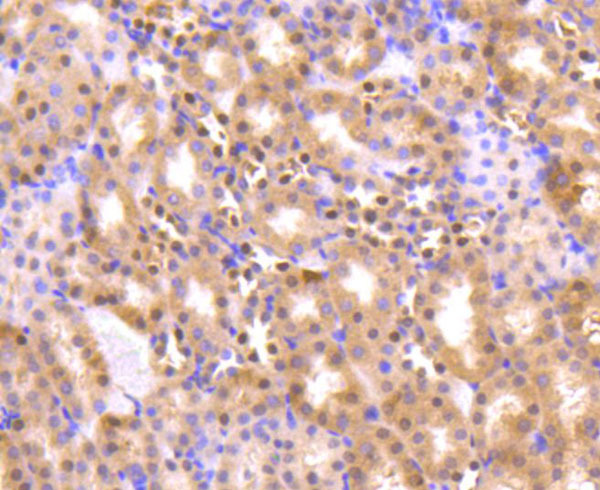 High AKT1 expression is Associated with Endometrial Cancer.